Open pizza dough and slice into 6 even pieces. Slice string cheese down the center and stuff with mini pepperoni. 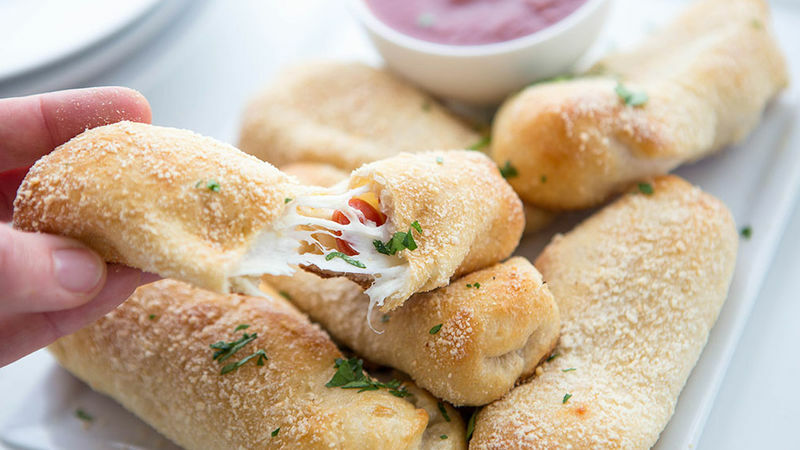 Wrap a piece of dough around each stuffed string cheese. Roll in Parmesan cheese. Place on prepared baking sheet and bake for 14-19 minutes, or until golden brown. Allow to cool for 3-5 minutes. Serve with warmed marinara or pizza sauce for dipping.